Pay to: MBB Account No. 014150307352 under Malaysian Nature Society Selangor Branch (please indicate “CGBC-enter your name” as recipient reference). IMPORTANT : Kindly pay upfront before registering. 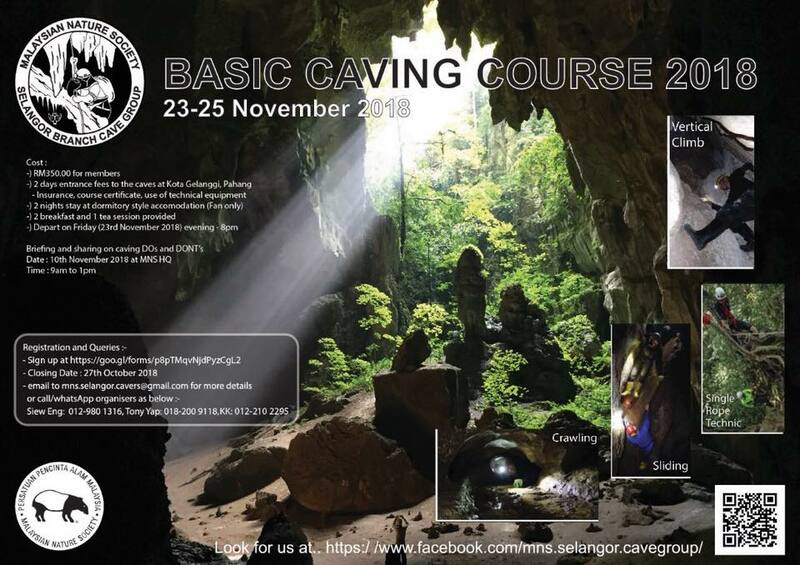 Please note that MNS Selangor Branch Cave Group reserves the right to refund or otherwise in the event of the course cancellation or postponement due to unforeseen circumstances beyond our control. Any changes, if applicable, will be informed to the participants accordingly. Note: The data provided will be solely used for BCC administration purpose.